Pay and Play has never been so much fun as here at All Star Adventures! There are a stupifying number of rides and games for the whole family to enjoy together and they have great combo ticket offers to make it easier on the pocket. 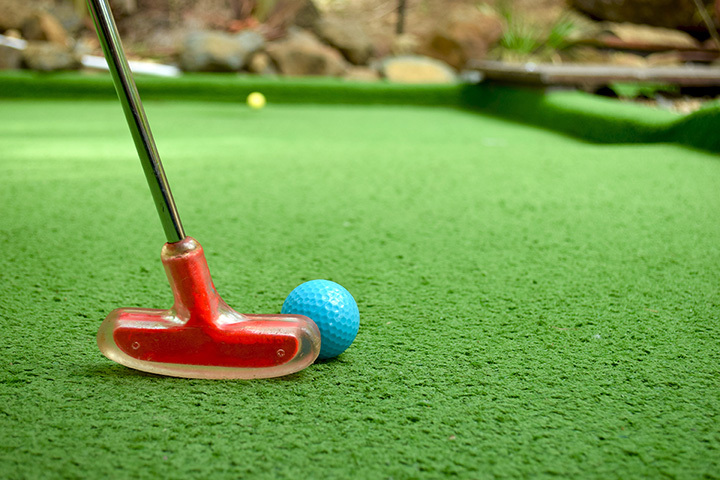 The miniature golf courses each have two 18-holes of play. Throughout the courses you will find several themed structures including a pirate ship, windmill, and a huge castle. Enjoy the look and sounds of the numerous fountains and spectacular waterfalls. Both are guaranteed fun for all ages! Go Karts for big kids and small: for the younger children, there are smaller go-karts on a separate track. These cars are also replicas of the adult go-karts and each ride is 5 minutes. Drivers must be at least 36" tall & 4 years old. Plus kiddie copters, bumper cars and boats, bumble bees, electric track, turbo slide, bowlingo, batting cages, rollercoasters and plenty more beside!